The Orlando Economic Partnership’s Senior Director of Marketing and Communications and Orlando Film Commissioner, Sheena Fowler, is inducted into the 9th Class of the Full Sail University Hall of Fame. Full Sail University’s Hall of Fame celebrates over 35 years of Full Sail graduates shaping entertainment and pop culture. From Oscar and GRAMMY-winners, to animators, to creative directors and entrepreneurs, Full Sail’s Hall of Fame alumni have made significant contributions to their industries – as well as the Full Sail community. Six new graduates are chosen for the Hall of Fame each year. This honor serves as a tribute to the creative inspiration, technical brilliance, and determination of each inductee, their unyielding dedication to more than a decade of excellence in their professional career, and their heartfelt commitment to the students, faculty, staff, and graduates of Full Sail University. Sheena joined the Orlando Economic Partnership in 2009 supporting the marketing, business development and Orlando film commission teams. Sheena brought experience from Warner Bros., HBO Boxing, CNN’s Captain Planet Foundation, Go Film, Transition Productions, iNEXTv.com and WMFE (the Orlando PBS affiliate). After managing permitting and locations for the four-county region, in 2011 she was promoted to Orlando Film Commissioner. 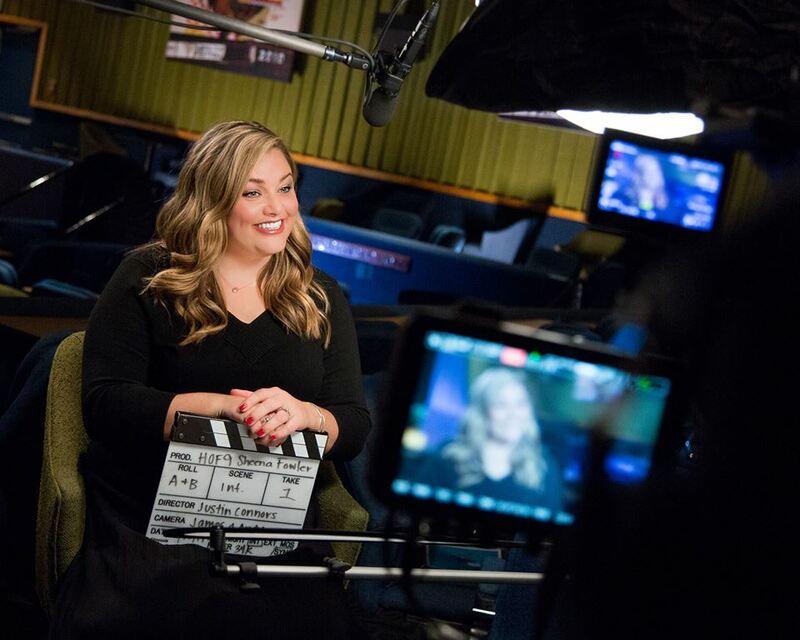 During the last several years as Orlando Film Commissioner, Sheena was tasked with progressing the momentum of the film production industry in the region. She proactively attracted new film, television and commercial projects to Orlando, streamlined the permitting process across the region (the largest territory of any individual film commission in Florida), oversaw a complete re-brand of the Orlando Film Commission, led the state-wide effort on the Florida Film and Entertainment Financial Incentive Program and initiated programming through alliances with Women in Film and Television – FL and Film Florida to provide on-going education to the local workforce. Sheena worked to bring in film productions including: Tomorrowland, Paper Towns, Sisters, The InBetweeners, Transformers: Dark of the Moon, To Write Love on Her Arms, Tooth Fairy 2, Real Rob, Hero’s Welcome Budweiser Super Bowl commercial, 2017 Monday Night Football ad and countless national commercial campaigns. In 2013, the Orlando Business Journal named Sheena in the “40 Under 40” list to recognize her role in shaping Orlando as a premier production community. With a strong background in public relations and business development, Sheena wears multiple hats in her work at the Partnership. In addition to her role as the Orlando Film Commissioner, Sheena also works as the Senior Director of Marketing and Communications, managing marketing and public relations to promote Orlando as a top business location. Sheena is a creative spark within the Partnership; her professionalism, aptitude and forward-thinking mindset are important attributes in achieving the Partnership’s goal of positioning Orlando for future broad-based economic development and strategic growth.